Carnival Cruise Lines’ Spendor is due back in service on February 20. This, after three and a half months of down time for repairs caused by a November 9 engine fire that left her floating helplessly off the Baja California coast. A new engine and generator were among the major components needed to repair the ship. Final work was completed in San Francisco on February 11, including installation of the new engine which required cutting into the hull. The ship had been towed from San Diego to San Francisco on January 23, to complete the work that had been started in San Diego; San Diego’s port lacked the drydock facilities that were available in San Francisco. Port of San Francisco officials said the repairs represented “the biggest maritime engineering project here in more than 45 years.” The repairs in San Francisco alone totaled nearly $9 million, said Gerry Roybal, maritime marketing manager for the Port of San Francisco. The ship also spent three months, and untold millions of dollars more, in San Diego harbor for other repairs. After fire broke out in its engine room on November 8, the ship lost all power and had to be towed several hundred miles to San Diego (A single Mexican tugboat, the Chihuahua, got the job done.). 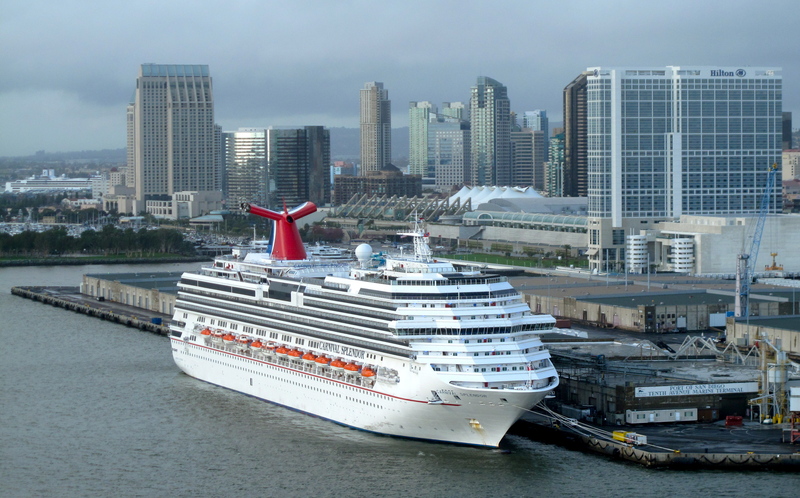 Some 15 cruises to the Mexican Riviera, out of the Port of Los Angeles, had to be cancelled during the repair period. More than 45,000 guests (not to mention crew) were affected. Losses to Carnival, though not specifically disclosed, amounted to many tens of millions of dollars. Losses to Mexican ports, in Cabo San Lucas, Puerto Vallarta and Mazatlan, exceeded an estimated $20 million. Carnival officials were expected to withhold comments on what exactly caused the catastrophic fire, and how the ship was repaired, until a later date. The National Transportation Safety Board was also investigating the cause of the fire, and was expected to make its report, also at a later date. A celebratory dinner/dance was scheduled February 19, for Carnival travel partners and other industry guests.